CHECK OUT CAMP EVENTS ON FACEBOOK !!! Lookin for a camp with great riding, great facilities and friendly down home people? Then your roundup is over cowboy cause you just found it !! 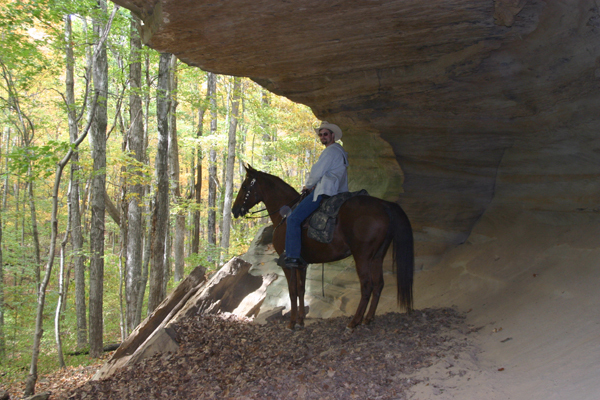 Bring your own horse and ride for hours, or days in the majestic Shawnee National Forest Southern Illinois,renound for it's exceptional trail riding. Riding Right out of Camp. We Border the Shawnee on 3 Sides with direct forest trail access. Huge, Marked, Mapped Trail System. Shawnee Forests only Wagon Trail. 18ft.Stock Trailer Available for Trailering to other Forest Riding Areas, Stay Here Ride it All! Outside Dining by the Fireplace, Beer,Cocktails&Wine available. Need a farrier while in the area, call or text Steve Carter 618-841-0950, or Rick Joiner 812-660-0632. Trails End Restaurant is on site and open weekends & holidays first full weekend in March through November.Closed Monday thru Thursday except holiday weekends. With a full menu of fish, fresh cut charbroiled Ribeye,smoked chops, burgers,breakfast specials, homemade pies, & many other mouthwatering downhome dishes. Beer Cocktails,& Wine served inside or on our 1200ft. porch with outside fireplace. Free wifi at restaurant. Catering service is available for your special event year around. Menu & hours at above link. Our Cabins have a full bath,covered porch,small refrigerator, microwave, heated & A/C. Bring your own towels, bedding & lawn chairs.These are clean, modern, three room units with a knotty pine interior. One large room with sleeper sofa "full", table and chairs,a bedroom with one full,& one twin bed"twin is a bunk" & a bathroom with shower, toilet, and sink. Firepits with grills at cabins.Units located close to the restaurant & campsites. 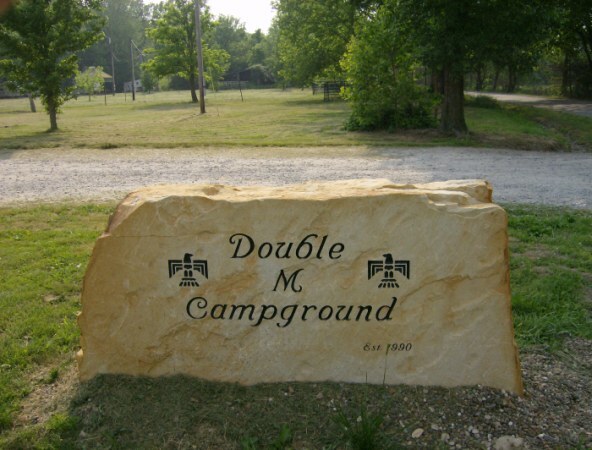 Campground & cabins open year round. Cadiz trail system Southeast of camp is not on the forest map. Stone Cabin, Vulture Bluff, Camp Cadiz , Blue Hole, Haystack, Small Fall, A Frame, River to River Trail, Beaver Trail, & others are all in this area.